Having the right equipment makes all the difference in the world when your livelihood relies on your ability to cut metal to exact specifications. Metalworkers often face a dilemma when it comes to the type of saw to use, whether it’s for a particular project or for the majority of their projects. At Byler Industrial Tool, we provide sharpening services for a variety of cutting devices, including both carbide saws and HSS cold saws. That means you can trust our experience and our knowledge when it comes to helping you make the right decision for your business. Carbide Saw Blades—Carbide saw blades are blades that utilize either tungsten carbide or titanium carbide along their serrated edges. Those materials are used because they are extremely durable and capable of staying sharp for long periods of time. While the bodies of these blades are made out of steel, their carbide tips remain sharp for anywhere from 10 to 20 times longer than steel tips. HSS Cold Saw Blades—Although HSS stands for “high-speed steel,” these blades are designed to operate at a relatively low speed, allowing them to cut different types of material more accurately. They’re particularly effective at cutting tubes, pipes, billets, ingots, castings, and forgings. 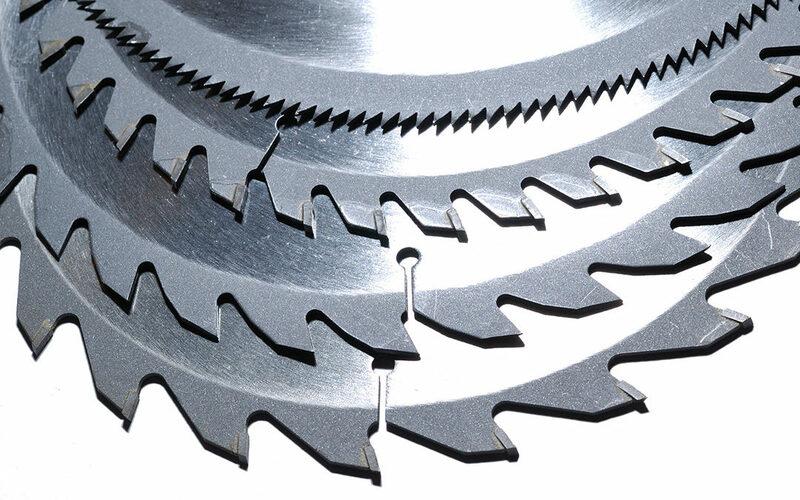 Cold saw blades can also be coated to improve their lifespan, sharpness, and overall effectiveness. No matter what type of saw blade, drill bit, moulder knife, or tooling you use in your day-to-day operations, you can count on us to make sure it stays as sharp and efficient as it was the day you bought it. Our sharpening services are second to none, and we’re the only Freud-certified sharpener in the state of Tennessee. In addition, we back all of our work with a 100-percent tool performance guarantee. Contact us to speak with our representatives to learn more about our saw blade sharpening services and our expertise or to place an order today.